Stop wasting money on batteries! 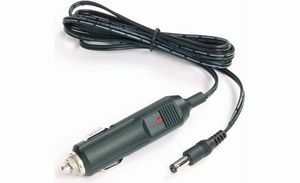 Use this 12v DC power adapter to power your XM boombox in your vehicle. The 6 foot cord gives you plenty of room to move around. Use your vehicle's cigarette lighter for power when camping, at the beach, etc.